"Let's just say the matter is under control," Chester slyly tells his pals Harold and Howie. But what on earth does he mean? It seems that Bunnicula, the vampire rabbit, is back to his old ways -- or so Chester thinks, having found pale vegetables drained of their juices scattered about the Monroe family kitchen. And now, once and for all, Chester is determined to save the world from this threat. But why has Bunnicula -- so frisky just a short time ago -- been so listless and tired of late? Is this part of Chester's scheme? Can Harold let Chester get away with hurting an innocent bunny, no matter what his harebrained suspicions are? It is not long before the Monroes notice Bunnicula's condition and rush him to the vet, and then the chase is on, ending up with a dramatic confrontation in a most unusual (and dangerous!) location. How unexpectedly the end can come. Had I even thought such a thing was possible, I might have noticed the warning signs that Friday night one May when, ironically, I was feeling so at peace with the world. 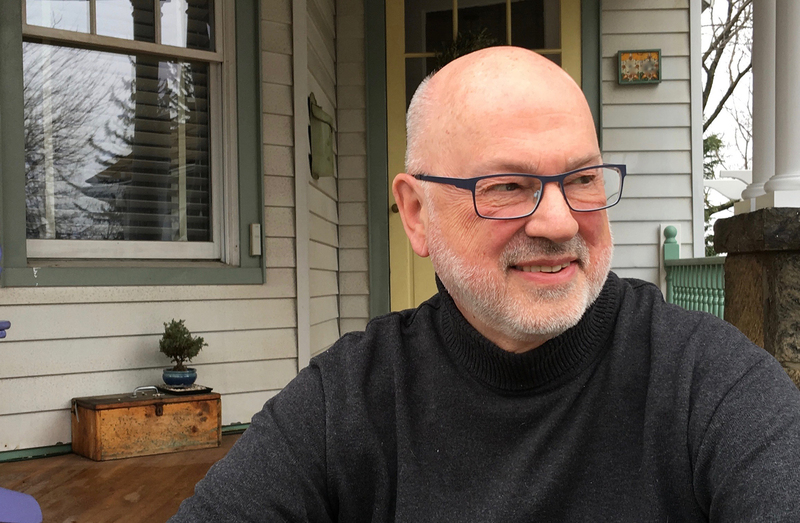 I remember the feeling well, for although a general sense of contentedness is part of a dog's nature, keen awareness of just how fortunate one is comes along less frequently than you might imagine. This was one of those rare moments. Lulled by Toby's voice, I remember thinking how perfect my life seemed at that moment. My best friend, Chester, had undoubtedly settled himself in on the brown velvet armchair in the living room below and was now contentedly sleeping or shedding or reading. He, like Toby, is a voracious reader, which may surprise you, given that he's a cat; but, again, in the world of fiction, anything is possible. Consider the other two members of the Monroe menagerie: Howie, a wirehaired dachshund puppy who Chester maintains is part werewolf, and Bunnicula, a rabbit with fangs. While Chester doesn't concern himself much with Howie's howling, seeing it as irritating but harmless, he does work himself up into a fancy frenzy from time to time over the dangers he imagines Bunnicula poses to our vegetables, our family, the town in which we live, and, when he's really on a roll, Civilization as we know it. Now all of this may seem very strange to you, but to me it is just life. I couldn't picture it any other way. Over time, the eight of us in our family -- four people, four pets -- have settled into the comforting rhythms of a song without end. Or so I thought. I had been only vaguely listening to the story Toby was reading. I knew that it was about the famous detective Sherlock Holmes and his friend Watson because those stories were all that Toby had been reading for weeks. I had grown fond of Holmes and had often thought that his friendship with Watson was something like mine with Chester. I was therefore unprepared for the terrible event that concluded this particular tale, in which Watson tells of the final confrontation between Holmes and his archenemy, the evil Professor Moriarty. "'As I turned away I saw Holmes, with his back against a rock and his arms folded, gazing down at the rush of waters. It was the last that I was ever destined to see of him in this world,'" Toby read. I lifted my head and woofed. Was it possible? Would Holmes perish? Could an author be so cruel as to kill off his most beloved character? As if he could read my mind, Toby looked down at me with a forlorn expression on his face. "Are you worried about what's going to happen?" he asked. "I wish I could tell you the story has a happy ending, boy, but...Well, I guess I'd better just finish reading." I listened attentively to every word. You may imagine my shock when it was revealed that Holmes and Moriarty, locked in a deadly embrace, tumbled from the precipice overlooking Reichenbach Falls into "that dreadful cauldron of swirling water and seething foam," where they were lost forever. I couldn't believe it! The author had really done it! He had killed Sherlock Holmes! I would have written him an irate letter then and there if I'd known where the Monroes kept their stamps -- and if it hadn't occurred to me that the author had been dead for three-quarters of a century. I began to whimper and Toby, whose own eyes were glistening, bent over me and crooned, "There, there, boy. It's only a story." But Toby is a sensitive lad, and I knew that for him, as for me, there was something more here than a story. There was the painful recognition that all too quickly things can change. I didn't like it. I wanted my world to go on as it always had. I wanted to be sure that Friday nights would always mean treats with Toby, that Chester would always be my friend, that Bunnicula would always be in his cage by the living-room window, and that Howie would always, for reasons no one understands, call me Uncle Harold and Chester Pop. I jumped down from Toby's bed with an urgent need to check downstairs and be sure that everything was in its proper place. "Hey, where're you going, boy?" I heard Toby call. I turned back to give his hand a quick lick, then bounded from the room and down the stairs. "Chester!" I cried out as I turned the corner from the hall into the living room. His chair was empty! "Chester! Where are you?" I called into the darkened room. As my eyes adjusted, I could see that Howie was not curled up under the coffee table where he should have been. Where was everybody? Thank goodness, Bunnicula at least was where he belonged, sitting in his cage, gazing out at the empty living room. At the time, I was just relieved he was there. I didn't pay him any more mind at that moment because the door to the kitchen creaked open just then and through it appeared Chester, licking his chops. "Where were you?" I said, trying to sound less alarmed than I felt and failing miserably "I called you and called you." Chester parked himself next to me and nonchalantly turned his tongue's attention to the tip of his tail. "For heaven's sake, Harold, get a grip on yourself. I was in the kitchen having a little snack. Knowing your inability to go without food for less than five minutes at a stretch, I assumed you'd be joining me. Now what's all the excitement about?" "Well, I, that is..." I let my sentence drop, feeling foolish all of a sudden to be so worked up over a mere story. I might have reminded myself of the many times Chester had not only worked himself up but practically turned the house upside down from his hysterical overreaction to something he'd read -- but then Chester is a cat and prone to overreacting. "It was just -- just something I read," I told him. He snickered. "I understand. The list of ingredients on candy wrappers can be alarming." He chortled to himself as I tried to think of a speedy comeback. Unfortunately, I am notoriously slow at speedy comebacks, so I gave up the effort even as I silently rejoiced that this exchange was proof that life in the Monroe house was proceeding as usual. If further proof was needed, Howie came skipping down the stairs, his toenails clicking wildly. He raced to our sides and skidded to a halt. "Boy," he said breathlessly, "that was so scary!" The poor kid was quivering. I noticed that Chester had stopped bathing his tail and was staring intently at Howie. His eyes were sharp. His ears were perked. He was ready to make his move on whatever had so frightened the impressionable young puppy. "W-well," Howie stammered, "there was this giant p-p-potato, see, and he ate up everything in the refrigerator and when seventh grader Billy-Bob Krenshaw went to get milk for his cereal -- "
"Hold it right there!" Chester snapped. Howie, who always does what Chester tells him, froze, his, jaw dropped open, and his tongue unfurled like a flag hanging off a porch on a windless Fourth of July. "Are you talking about what I think you're talking about?" Chester went on. "You can move your mouth now," Chester said. "Thanks," said Howie. I was talking about FleshCrawlers number nineteen, The Potato Has a Thousand Eyes. I was reading it over Pete's shoulder. Until he told me I had to leave because I had breath like the bottom of a garbage pail, which I resent because I haven't been near the garbage for a whole week, not since that time the baby-sitter left the lid off, which reminds me -- "
"Do you have a point to make here? Do you know what I mean by a point?" "Yes, I have a point to make!" said Howie. "And what was your other question? Did I know what a point meant? Of course I do. I had an appointment just last week with the vet. Get it, Pop? Get it, Uncle Harold?" Howie chuckled merrily while Chester began to fume. I could have cried at how normal everything was. "My point," Howie said, "was that the story was really scary. Especially the part where Billy-Bob's pet is transformed into a french-fried poodle." Chester shook his head in disgust. "Who writes this drivel?" he asked. "Drivel?" said Howie. "I don't know what drivel is, but I can tell you one thing. M.T. Graves does not write drivel! Besides, it could really happen -- you said so yourself, Pop." "I've always said that about spinach," I interjected. "Don't you remember when you were worried that Bunnicula was attacking vegetables all over town, draining them of their juices, and you said the vegetables would turn into vampires, too? Remember, Pop? You had us going around staking them through their little veggie hearts with toothpicks!" "Well..." said Chester. I couldn't tell if the memory was making him proud or embarrassed. He's often poised between the two. You know how cats are -- you never know if they're going to make a cool move or a fool move, and most of the time neither do they. Howie pressed on. "You do still think Bunnicula's a vampire, don't you?" "And you do think he's a danger to vegetables, right?" Chester hesitated before speaking. "Let's just say, he used to be a danger. I don't think we have to worry about that any longer." "What do you mean?" I asked. Then I remembered. "Oh, because the Monroes feed him a liquid diet, he no longer drains vegetables of their juices. Is that it?" Chester's face took on an odd expression. "Let's just say the matter is under control, Harold. At last." "But, Chester," I said, "Bunnicula hasn't attacked any vegetables since he escaped that time. Surely you're no longer worried about him." "Oh, I'm no longer worried about him. No, I'm not worried at all." And with that, he jumped up on the brown velvet armchair, bid us good night, and, after circling and pawing at the seat cushion for a good five minutes, proceeded to fall into a deep and seemingly untroubled sleep. Howie and I meandered over to Bunnicula's cage. "What do you think Pop meant about everything being under control?" Howie asked as we regarded our lethargic chum. "Chester just likes to hear himself talk sometimes," I told Howie. "And he likes to believe that Bunnicula is a threat. But I don't think he'd do him any real harm. After all, he's one of the family." Howie smiled. "My brother, the bunny," he said. "Hey, that reminds me, Uncle Harold. Did you read FleshCrawlers number thirty-three, My Sister the Pickled Brain? It is so cool. See, there's this girl named Laura-Lynn O'Flynn who has this twin sister, and one day she asks her to help her with this science experiment and something goes way wrong and the next thing you know..."
As Howie nattered on, I thought about what I'd said to him. Although I was pleased to find life carrying on as usual in the Monroe household, I was troubled that something might once again be fanning the spark of Chester's suspicions and animosity toward an innocent rabbit -- one we called a friend. Did I really believe Chester would do Bunnicula no harm? After all, he had tried to destroy Bunnicula once. How far would he have gone? How far would he go now? I had no answers and I did not like where the questions were taking me. It was only later that night when I was fast asleep that the pieces came together as they do in dreams -- the lifeless look in Bunnicula's eyes, Chester's mysterious comments, and the disturbing scene from the story Toby had read to me earlier. Was it one thing in particular, or was it all of the pieces floating dreamlike through my slumber, that put the questions into my mind that would not go away: Might Chester and Bunnicula be headed for their own fateful plunge from the precipice? 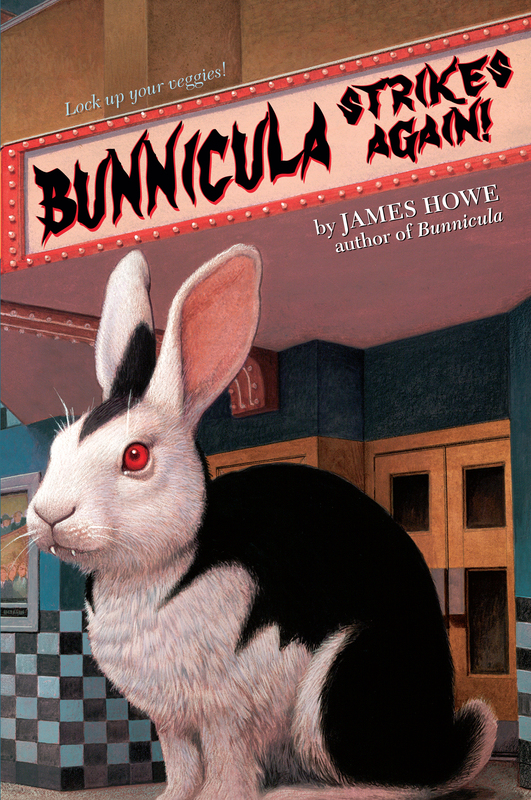 Could this be the end of Bunnicula?